You can pay with your Mastercard or Visa Credit Card through our payment provider Stripe quickly and securely. Your credit card data are transmitted in encrypted form. We do not store your credit card data to guarantee maximal data protection. When paying by credit card, your BlackBoard is sent immediately to you, provided that they are in stock. 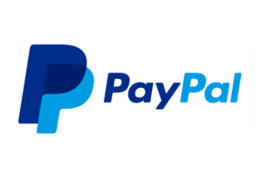 Choose PayPal as a payment method during your ordering process. Subsequently, log in to your personal PayPal account with your email address and your PayPal password and confirm the payment amount. We immediately receive a payment confirmation by PapPal and can process your order promptly. Paying us via PayPal is always free for you. SOFORT Überweisung transfer makes paying online easier than ever. Thereby, you very conveniently use your familiar online banking data and thus are on the safe side. Thanks to the transaction confirmation your oder can be sent immediately – faster than with uasal payment. By SOFORT Überweisung transfer, you can look forward to a prompt delivery.